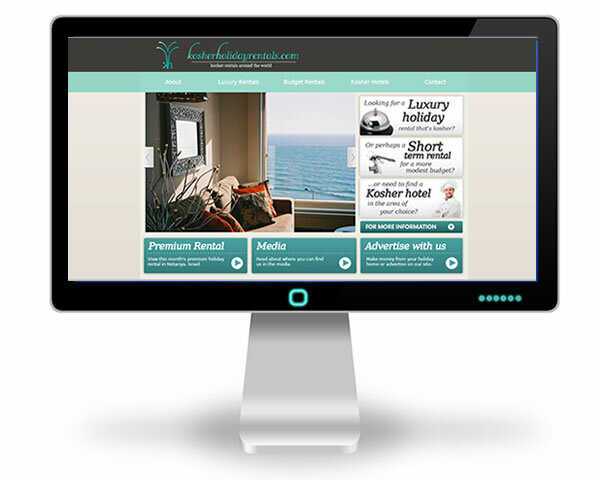 Kosher Holiday Rentals was designed and custom-coded using bespoke templates in Dreamweaver enabling the client to now maintain the site on his own. 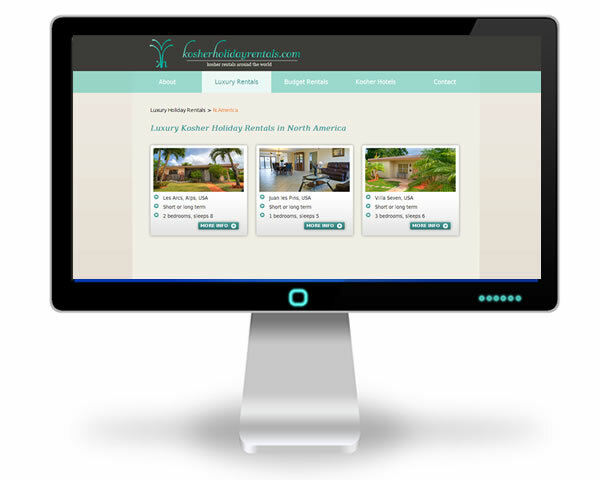 It was important to combine elegance in the logo design as well as a very easy to use interface. 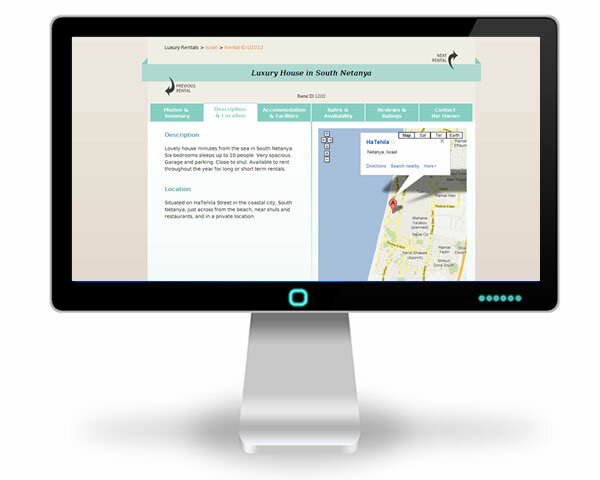 Each rental has a tabbed panel featuring a photo viewer, google maps and other information organised in a clear way.